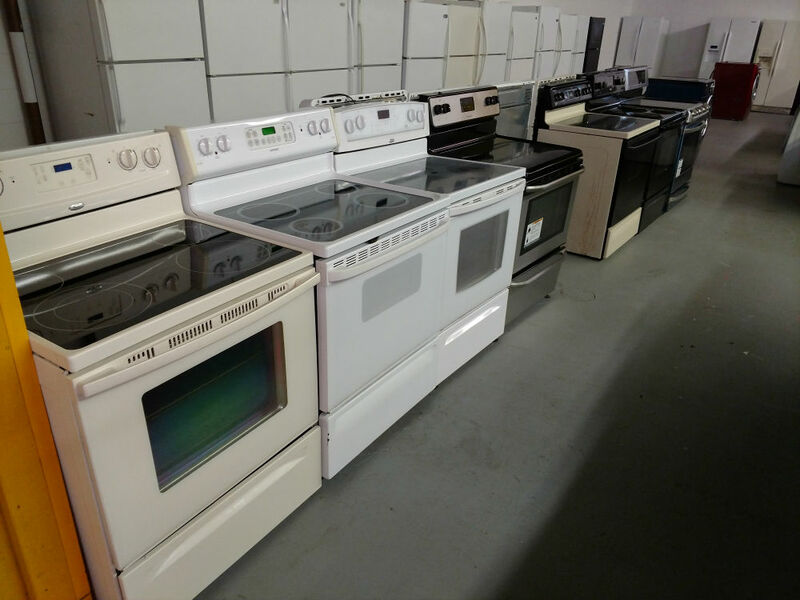 For a wide selection of used electric stoves, come to PG Used Appliances in Lanham, Maryland. We deliver to Prince George’s County, Montgomery County, Washington DC and the Virginia suburbs. 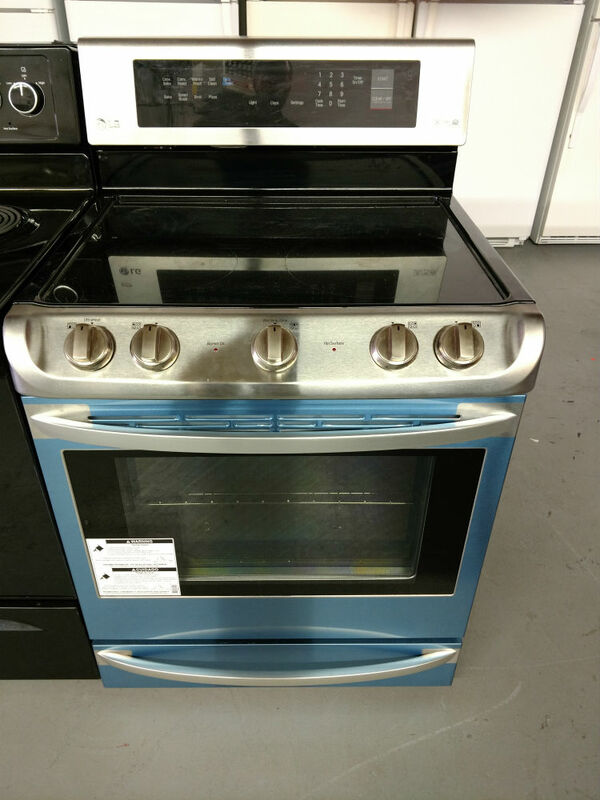 You have options between stoves with ranges that have coil burners, smooth-top models and induction models. Possibility of a metal pot bonding to the glass ceramic surface when overheated. 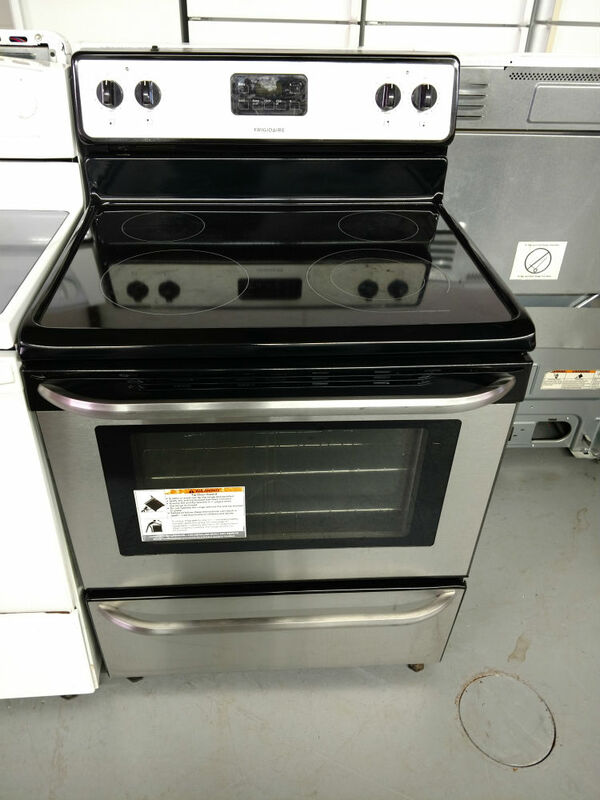 PG Used Appliances sometimes get these but they are not as common as the used gas stoves and other used electric stoves. If you aren’t familiar with induction-top stoves, they cook very fast. They use electromagnetic pulses to heat the pot or pan on the stove and not the stove itself. It only works with pots that have iron in them, so cast iron or steel will work, although the cast iron may scratch the glass surface. If a magnet is attracted to the pot, it should work. 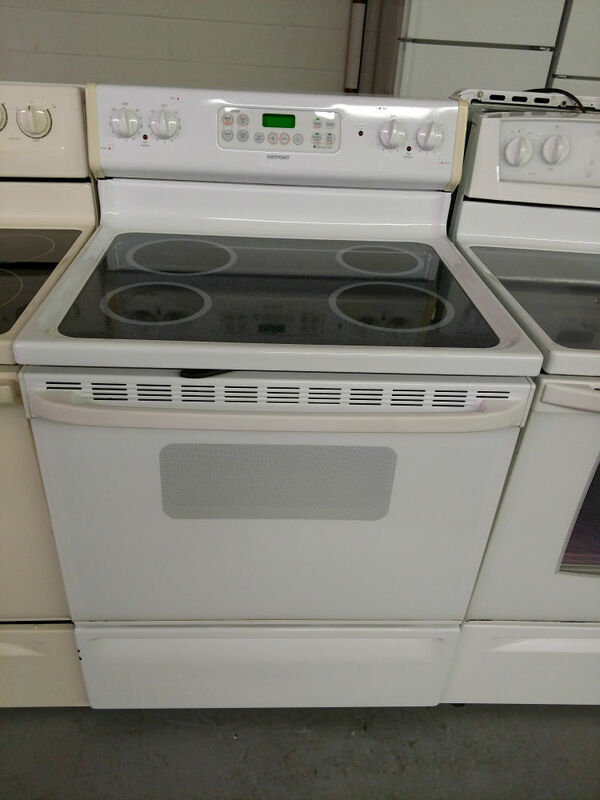 Cook faster than gas or other electric stoves. Water boils 50% faster. Only iron based cookware will work on an induction stove. Many cooks prefer electric heat for ovens because it is a dry heat which is better for baking. 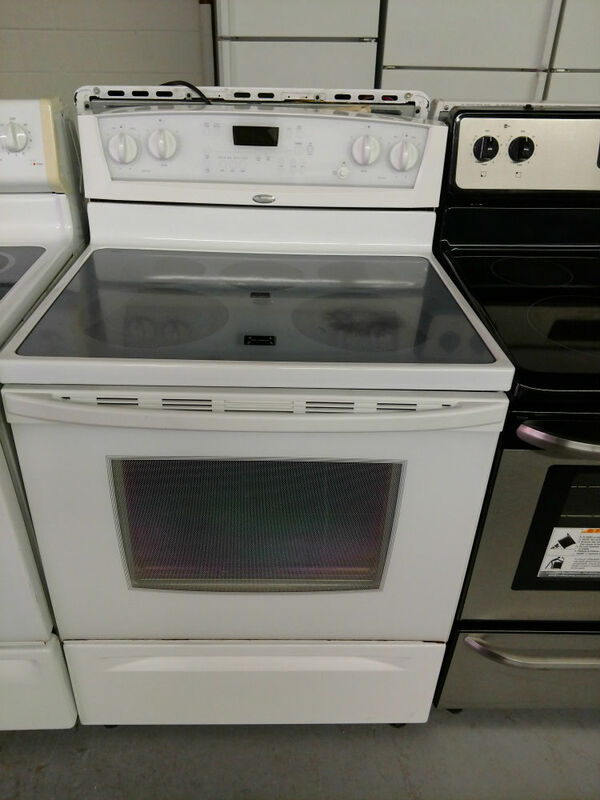 Whatever type of range / cooktop you have, the ovens will be essentially the same. 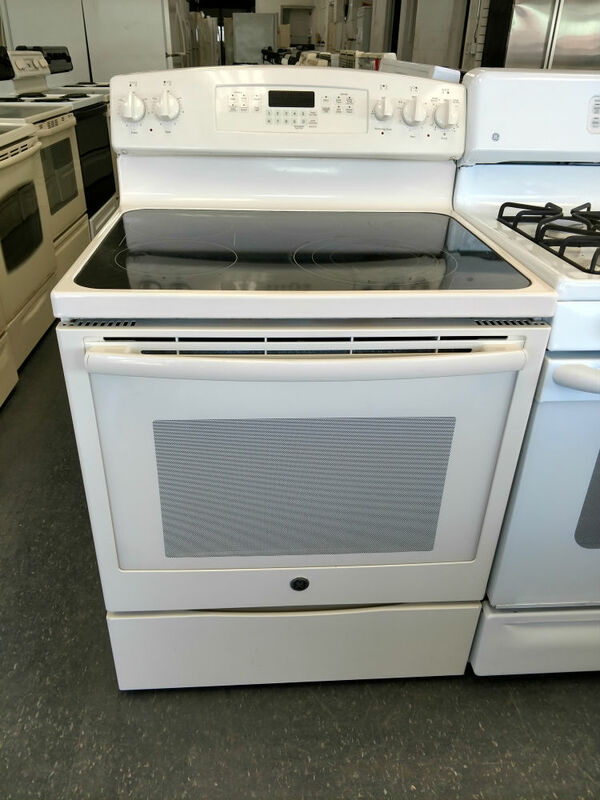 There can be different features such as also having convection cooking or self cleaning.